Carpet isn’t just comfortable and stylish, it’s a safe flooring option too, reducing slips and softening falls if they do occur – ideal for both the elderly and very young. Carpet also improves a home’s acoustics because it absorbs noise rather than reflecting it back into the room. Those who want to save money welcome the fact that carpet provides actual thermal resistance (R-value) – meaning when it’s cold, it retains warmth longer, conserving energy and reducing heating bills. Perhaps one of the biggest misconceptions about carpet is that it’s bad for people with allergies. But the 60 million Americans the Asthma and Allergy Foundation of America says live with respiratory ailments might be surprised to learn that the opposite appears to be true, according to multiple studies. A 15-year Swedish study found no link between carpet and allergy and asthma attacks. In fact, when carpet usage in Sweden decreased by 70 percent, allergy reactions in the general population increased by 30 percent. In 2003, a study of school children in New Jersey found that having carpet in a child’s bedroom was associated with fewer missed school days and less need for asthma medication. These are just two of many studies showing no correlation between carpet and allergies or asthma. Think of your carpet like you would a sweater in your wardrobe. If you wear a sweater, it eventually gets dirty and needs to be washed. Your carpet is walked on by people and pets frequently, and much like a sweater, need to be cleaned regularly to look its best and last a long time. How often do you really need to vacuum? High-traffic or pet areas should be vacuumed daily, medium-traffic areas need to be vacuumed about twice a week and light-traffic areas should be vacuumed weekly. Use a CRI-certified vacuum for optimum soil removal, dust containment and to avoid damage to your carpet. Keeping as much dirt and grime off the carpet as possible is ideal. Be proactive and put out a durable entrance mat for people to wipe off their feet before entering your home. Then require everyone to take off their shoes so less dirt is tracked inside. Once a year your carpet should be cleaned by hot water extraction by a professional. This process extracts deeply embedded dirt that regular vacuuming can’t reach. Find a CRI Seal of Approval Service Provider near you. 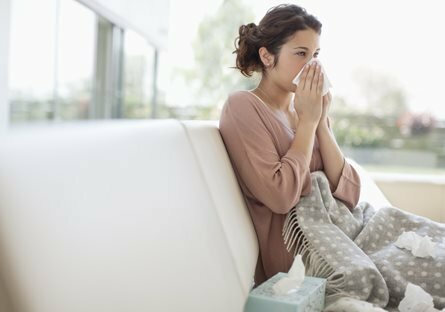 If you suffer from particularly bad allergies, consider cleaning your upholstered furniture, draperies, and blinds also. Like carpet, these also need regular cleaning. Drapes and blinds can build up microscopic allergens quickly from open windows. Vacuum and wash regularly and consider hiring a professional cleaner once a year or as needed.